This Sunday is traditionally known as ‘Laetare Sunday’ from the opening word of the introit: Laetare lerusalem … (Be joyful 0 Jerusalem …) (Is 66:10-11), which has been retained as the entrance antiphon in the current Missal. A far more important aspect of today is that it is Mothers’ Day — or as it was formerly known ‘Mothering Sunday’ — which is one of those days that is in the ritual calendar of our society in a way that most liturgical days are no longer. Mothers’ Day — with much help from the greeting card industry — is one of the fixed days for many people which has that special stressed and exceptional character which is the essence of ritual time. If you ask the average urban congregation whether they spend more time and effort thinking about Mothers’ Day or Good Friday, I suspect that the former will easily outstrip the latter in significance in their ritual year. This situation presents us with an opportunity and a challenge. The opportunity is to re-possess this theme of Mothers’ Day by showing that it originates because this is the Fourth Sunday of Lent, and to make it part of today’s celebration — this is one day when people are expecting the liturgy to be special, and that ‘specialness’ is that the liturgy is linked to a feast they are actually celebrating outside of the context of the liturgy. The challenge is that today must be celebrated as a Sunday of Lent, and not simply made the religious aspect of Mothers’ Day. We should note that there is no agreement as to how this day originated as Mothers’ Day. The most commonly given reason was that there was a custom in some parts of England for people to visit their mothers on this day, or that servants were given a day off to visit home on this day, but that still does not answer the question of why this day was chosen for this practice. The other theory as to its origins is that on this day there was a visit to the cathedral or mother church, or that it refers to the old epistle for this day (found in the pre-1970 missal and in the Book of Common Prayer) which was Gal 4:22-31 (a reading not used in any year in today’s lectionary) which has a reference to Jerusalem as ‘our mother’ at v. 26. In all likelihood it was this reference, when picked out in preaching, that gave rise to the practice of people visiting their mothers, and this, in turn, became the origin of our Mothers’ Day. Sherlock Holmes, the great detective who had solved many mysteries, and Dr. Watson, his companion, went on a camping trip. After a good meal and a bottle of wine, they lay down for the night and went to sleep. Some hours later, Holmes awoke and nudged his faithful friend. "Watson, look up and tell me what you see." Watson replied, "I see millions and millions of stars". Sherlock Holmes then said, "Well Watson, what does that tell you"? Watson pondered for a minute and then replied, "Astronomically, it tells me that there are millions of galaxies and potentially billions of planets. Astrologically, I observe that Saturn is in Leo. Chronologically, I deduce that the time is approximately a quarter past three. Theologically, I can see that God is all-powerful and that we are small and insignificant. Meteorologically, I suspect that we will have a beautiful day tomorrow. Why, what does it tell you"? Sherlock Holmes responded, "Watson you idiot, someone has stolen our tent". Watson had missed the most obvious. He was clever enough to notice the complexities of the stars but he missed what was plain and simple. Today’s Gospel reading is about a whole lot of people who miss the point. In Jesus’ healing of a blind man, the Pharisees missed the most evident point that it was a real miracle by divine intervention. (Rev. Gehardy). Once again, like last Sunday, we have a long passage. However, you must read it in its entirety because, with great artistry, St John has woven three stories into one, each interacting with the others and shedding light on them like the different colours in a painting. In your meditation follow up one story at a time, the one that happens to touch you right now. Verses 8 to 38 : This is the story of the man born blind who gradually comes to the point where he worships Jesus (verse 38). It is the long, often painful, journey of a person who is called to see life in a new way and as a result makes a new commitment. The story is told in four stages: vs. 8 – 12; 13 – 17; 24 – 34; and 35 – 38. You will notice (and recognize from your own experience) how he sees more and more clearly at every stage that this is a call from God which he can trust. He also experiences more and more opposition and rejection, until the moment when he is lost, the same moment when he is found by Jesus. vs. 13 – 17; 18 – 23; 24 – 34, coming to the pathetic climax in verse 40. Recognize from your experience, and with great humility, how religious people can become complacent that they know God’s will, and in the process become more and more intolerant and violent towards those who oppose them. Notice at every stage the contrast between them and the man born blind. Verses 1 to 5; 39 to 41 : Jesus is the leader who has “come into this world” to accompany the humble on their journey to sight and, on the other hand, to expose the blindness of the arrogant. 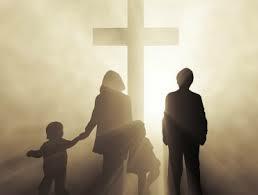 Discover in him the ideal for all in authority, and also for the church in its relationship with the wider community. His own humble trust in the Father and his compassion are beautifully expressed in verses 1 to 5, his clarity of purpose in verses 39 to 41. Who does he remind you of?. – to live more simply. we faced opposition, ridicule and rejection. – when very easily and spontaneously we worshipped you. so that we who were without sight would see. – violent to those who challenge our wisdom. – and come away with our sight restored. it is because they or their parents have sinned. We pray for those who are worried about the future. Help them to accept that the night will soon be here when no one can work. they are called to be the light of the world. showing those who think they see that they have become blind. Today we reflect on our belief that Jesus is the chosen one of God, he is the anointed one, he is the Christ. He is the one who gives sight to our blindness, the one who restores our health, the one who reconciles us to the Father. Today, because it is the Fourth Sunday of Lent, is also Mothers’ Day when we give thanks to God for our mothers, we make a special fuss of them,and think of how much we owe to them for their care and love. So let us begin by thinking of all of God’s blessings to us: for giving us loving mothers, for giving us his love and forgiveness, and for sending us Jesus the Christ. 1. Light and darkness together form one of the great images by which human beings seek to describe both the universe and the mystery beyond the universe. The contrast of light/ dark is basic to our existence as day and night, and with light is the association of like goodness, understanding, and hope; while with darkness there is fear, evil and confusion. We are beings who live and learn in the light and through sight. Here too lies the sorrow of blindness and the horror that it instills in many: a horror so great that in Jesus’s time the fact that God could let someone be born blind was thought of in terms of God deliberately punishing the blind person (see the longer form of the gospel). Likewise, it is only when we think of how we crave light and sight and vision, that we can see the force of healing Christ the ‘Light of the World’. 2. Because the dark and the light alternate with one another in the physical world, many people think of moral light and darkness similarly changing places, as if light and darkness are in a continual struggle. We glibly hear lines such as ‘the eternal struggle of good over evil’ or speak about ‘the ups and downs in human affairs’. But Christians see Christ as having won a victory over the powers of darkness once for all – we are called to be children of the light. But this victory can now only be seen in our hope: in glimpses, in a glass darkly, in shadows, in images. We will only see the fullness of the light in the life to come. 3 As we approach Good Friday we should recall that this is our victory celebration for Christ’s expensive victory over all that is dark, wicked, evil, and life-destroying in the universe. Today we read John’s sign that Christ is the Light; next week we shall read in John that Christ is Lord of life, and on Good Friday we shall read John’s passion when he declares that his work is accomplished – and in John’s image of Good Friday there is no darkness: Christ conquers the powers of darkness and scatter~ them in clear daylight. This celebration of Christ as light we reach its climax in the liturgy in the opening moments of the Easter Vigil when we shall gather around the light in the midst of darkness, and then sing the praises of the risen Christ our light. 4. But the victory of light demands that all who belong to the light be themselves lights, enlighten other areas of a darkened world and oppose all that takes place in the dark or which darkens the lives of people. One cannot belong to the light and be different to human suffering. One cannot simply shrug shoulders when one hears of policies that oppress people in the developing world. One cannot ignore falsehoods or dishonest dealings in any organisation, be it one’s workplace or community or in the church. One cannot rejoice that the light of the creation is but a shadow of the true Light of the universe, and then happily ignore the destruction of the created environment. Unlike physical blindness, spiritual blindness occurs when people either refuse or are unable to accept Jesus Christ as the Way, the Truth and the Life. The well known proverb is appropriate: ‘There is none so blind as those who will not see!’ Here, the phrase ‘those who will not’ means ‘those who do not wish to’ or ‘those who refuse to’.Unfortunately, many of us are spiritually blind without realising it. We need to learn that in recognising our personal sinfulness our spiritual blindness begins to be healed. Jesus brings healing from sin into our lives through his Church and the sacraments, especially the sacrament of reconciliation. When we celebrate this sacrament with the proper disposition we meet the risen Lord who heals us and gives us life. Believing is seeing. Some saw a blind man being cured and walked on amazed. Oth­ers saw the same cures and found faith. We can see things – ev­eryday things – with different eyes. A sick woman may be seen with the eye of compassion for illness, hope for a cure/ profit from a profession. The Christian tries to see the world with the eye of faith. Faith grows in many ways – by opening ourselves to our hu­man desire for God, by mulling over the good things of life/ by experiencing the good within ourselves/ by looking over times of faith in the past and by allowing the goodness of others to bring us to new and stronger faith. This is the call of the gospel today – to open our eyes to the Lord who is at work in many ways. 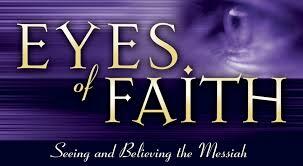 We learn to see and love with the eye of faith by looking at the look of Jesus towards us. It is often a big jump to believe in what we cannot see. Even the blind man today was reminded by Jesus ‘ You are looking at the Son of Man/ he is speaking to you.’ Jesus looks at each of us with faith in our goodness and with love. the presence of Jesus is at hand. Lord, let me see you in the simple things of my life. In his accounts of Jesus’ “signs,” John displays great skills as a dramatist. His story of the healing of the man born blind is really a play with six scenes: the blind beggar’s healing with the mud Jesus mixes on the Sabbath; the townsfolk’s reaction to his cure; the beggar’s testimony before the Pharisees; the testimony of the blind man’s parents; the beggar’s second appearance before the Pharisees (resulting in his expulsion); the beggar’s return to Jesus. While his synoptic counterparts recount Jesus’ miracles as manifestations of his great love and compassion, John “stages” Jesus’ miracle to reveal the deeper meanings of Jesus’ mission of redemption as the Messiah. 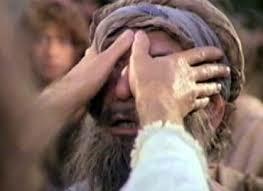 The healing of the blind beggar heightens the tension between Jesus and the Pharisees. The teaching of this itinerant Rabbi threatens the structured and exalted life of the scribes and Pharisees. They seek to discredit Jesus any way they can — and this miracle gives them the opportunity. In using spittle, kneading clay and rubbing it on the man’s eyes, Jesus breaks the strict rules prohibiting any kind of manual labor on the Sabbath. The miracle itself becomes secondary; the issue becomes Jesus’ breaking of the Sabbath. Jesus’ teachings and healings so threaten the comfortably ordered lives of the Jewish leaders that they seek some way to discredit what he has done, so they condemn Jesus’ mixing of the mud as a clear violation of the Jewish prohibition of any kind of work on the Sabbath. Our faith, our embracing of the Spirit of God, demands that we see things not with the eyes of practicality, self-interest and profitability alone, but with the eyes of Christ’s selflessness and humility: to see beyond appearances and superficialities and look deeper to discover the timeless and profound truths of the human heart. To see the world in the light of Christ empowers us to re-create our world, to shatter the darkness of injustice and hate with the light of justice and compassion. Jesus says that the man he heals was born blind “so that the works of God might be made visible through him.” In his blindness, the man’s healing becomes the manifestation of God’s goodness and grace for his family and neighbors. Christ calls all of us to such an understanding of faith: that the moments of greatest hurt and difficulty in our lives — the crosses laid upon our shoulders — can become manifestations of God’s grace through understanding compassion, and patient forgiveness. Another busy day in the church hall . . . On a given morning in the parish hall, the teenagers in the Confirmation class are packing up winter coats they have collected for the homeless. Later that day, the hall kitchen buzzes with volunteers preparing soup and sandwiches for the parish’s regular turn that night at the downtown soup kitchen. In the afternoon, a group of moms takes over the space and turns it into an after-school center for kids to come to do homework, enjoy a snack, receive tutoring help, and just have a safe place to hang out after school instead of going home to an empty house. After supper, the knitting group will meet to make prayer shawls for the sick and dying in the parish. Their work is a warm, comforting assurance to the suffering and hurting in the parish that they are embraced in the prayers of the community. It seems the lights never go out in this parish hall. The many works and ministries that take place in the always busy parish hall are the real lights, reflecting the compassion of God dwelling in the church community. 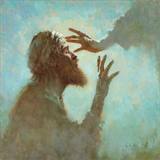 As Jesus heals the blind man “so that the works of God might be made visible through him,” he opens our eyes to see and our hearts to make God’s works of justice and reconciliation “visible” in our own time and place. In baptism, we are entrusted with those “works.” Our least remarkable offerings of charity are extensions of the Eucharist we offer together at the Lord’s table; our unheralded, unseen efforts to bring healing and hope to others illuminate the unseen presence of God in our midst. May our own water and clay — the time and talent we give in imitation of Christ’s healing compassion — make the love and grace of God visible in our homes and communities, our workplaces and classrooms, our parishes and gatherings. When we accidentally bump into something or someone, some people ask: “Are you blind? Can’t you see?” We get angry at these remarks because we believe we can see very well. Yet there are times we have to admit we are blind, that we don’t see as well as we should, that we don’t see the obvious, that we can’t see beyond the physical. May His Word open our eyes! Have an insightful Lenten weekend! 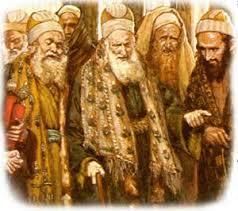 Eliab and all the seven sons presented as worthy candidates to him. “God does not see as man sees; man looks at appearances but God looks at the heart.” Finally, the youngest son David arrives, he is not handsome and lacks experience but he has a good heart. David is anointed King because God goes beyond appearances and sees David as the shepherd King of his people. Clarence Darrow won the case. to be open, no matter what the evidence. Jesus said: “I have come into the world so that those without sight may see and those with sight turn blind.” We have to judge which is worse, being blind or pretending to see when in fact we are blind. A sixty-year-old woman living in a mid-western town was finally prevailed upon by her family to see the eye doctor. She had never worn glasses in her life. The doctor gave her a thorough test and asked her to return in three days when he would have her glasses ready. He fitted the glasses and asked her to look out of the window. Almost breathless, she exclaimed, “Why, I can see the steeple of our church, and it is three blocks away.” “You mean you have never been able to see that steeple at that short a distance?” asked the doctor. “Gracious no”, she declared, “I never knew I was supposed to see that far.” “Madam”, said the eye expert, “You’ve been going around for years half blind!” Similarly, many cannot see the truth which God has made known to us…. The story of the blind man in today’s gospel reminds us of Plato’s ‘Allegory of the Cave’ It is an allegory used to illustrate “our want of education.” There we find all humanity chained in a darkened cave throughout life. These captives can see nothing but flickering images on a wall…shadows, appearances, illusions, which they take for reality. One prisoner, liberated from the chains, makes the arduous crawl upwards to the world of the shining sun. When he returns to the cave with his tales of the new-found source of light and life and warmth it gives, the prisoners think him crazy. They simply deny his experience. It just can’t be. The chains and the amusing images on the wall are reality. Thus his conversion is ridiculed; his invitation is resisted. Clearly there are parallels between the Platonic myth of the cave and the story of the man born blind. Each figure is given new sight. Each is rejected by the inhabitants of the old world. And even the so-called wise authorities would rather cling to their chains and discuss the shadows than embark on the journey of faith. 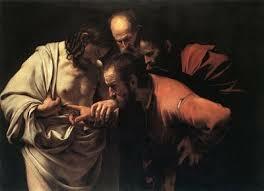 It’s hard to know why Jesus went through the ritual of the spittle, the mud, and the water, in order to heal the man. He healed other blind people with a touch, or simply a word. It might well have been a test of faith. He sent the ten lepers on their way, and they were healed as they journeyed along. He sent the centurion home and, before he reached home he got word that his servant was healed. I often think that this is how Jesus heals many of us. We ask for his healing, and nothing seems to happen immediately. Maybe, after asking for his healing, we should go on our way, and expect to notice the healing taking place gradually as time goes by. As the story unfolds, we notice that the man’s eyes were really opened, and that includes the eyes of his soul. Clearly Jesus was intent on healing the total person, or not at all. We don’t imagine him healing someone, and then having that person going away still filled with resentment against another. Such a person was not really healed at all. The man in today’s gospel was totally healed, and he ended up on his knees, worshipping Jesus. The greatest good we can do for others is not by giving them money, though that can also be needed at times, but in revealing their own riches to them. It is good to affirm others and make them feel both loved and worthwhile. Many people have grown up with a poor self-image, and they just cannot see the good in themselves. This is another form of blindness, and it is a blindness in others that any one of us can heal. The most certain proof that the Spirit of God lives in you is your willingness and ability to affirm and bring a blessing to other people. Kids know mud is good. Whether squished between the toes, splashed up from a big puddle, or patted into inedible but indelible "pies," mud attracts little children as quickly as cupcakes and puppies. For all of us, after the frozen frostiness of this past Winter, who isn't looking forward to the Spring softening of hard, unyielding ground. There is something elemental, even primeval about mud. We instinctively recognize that moist, mushy earth is a sign of fruitfulness, fulfillment, and fun. But if you don't have melting snow or spring rains to make solid ground into malleable mud, then you have to get water from some other source. In this week's gospel text, John's detailed re-telling of Jesus healing of a man who had been "born blind," that water source comes from saliva. Jesus spits on the ground and "made mud with the salvia," an action that would delight all children, but was an absolute symbol of uncleanness and pollution to the reigning religious authorities. Blood, sweat, spit, all those "icky" human fluids were considered not just to be unattractive. They were deemed absolutely abhorrent and ritually unclean. Spittle was considered to be a pollutant, and even today, to spit upon someone is the ultimate sign of contempt. But when Jesus encountered the man who was "born blind," an individual who had been "blind from birth," someone who had never received the gift of sight, he responds by spitting. We cannot know for sure whether this man had nothing in his eye sockets, just a cavernous hole, or whether his eyes were born deformed and defective. The fact that Jesus' action recreated the first act of creation, where God creates materiality out of mud, suggests the former, but it is only speculation. 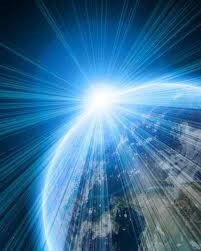 What isn't speculation is that "in the beginning" God created the cosmos and the earth. 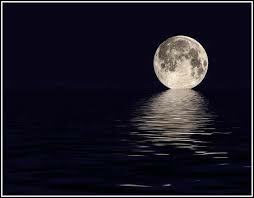 Upon the earth the first priority was water in order for life to emerge. It was only after a stream of water rose up from the within the ground and watered "the whole face of the earth" (Genesis 2:6) that God gathered together the moistened dirt and "formed Adam" from the clay. The first "mud pie," made from the creative touch of the divine on clay, that simple combination of dirt and water, resulted in nothing less than the first human being. The captain of the Titanic refused to believe the ship was in trouble till water was ankle deep in the mail room. Only then was it apparent the multi-layered hull had been pierced and the unsinkable ship was going to sink. Ships that could have arrived before the great ocean liner went down weren't summoned until it was too late. Leadership, Vol. X, No.3, Summer, 1989, p. 27. Recently, I ran across a "fascinating list" that carried this intriguing title: "Great Truths About Life That Little Children Have Learned." Let me share a few of these "great truths" with you. 1. " No matter how hard you try you cannot baptize a cat." 2. "When your mom is mad at your dad, don't let her brush your hair." 3. "Never ask your 3-year-old brother to hold a tomato... or an egg." 4. "You can't trust dogs to watch your food for you." 5. "Don't sneeze when somebody is cutting your hair." 6. "School lunches stick to the wall." 7. "You can't hide a piece of broccoli in a glass of milk." 8. "Never wear polka-dot underwear under white shorts... no matter how cute the underwear is." Now, it is virtually certain that the children learned these "great truths" and came to these bold new insights after some dramatic eye-opening experience in their own personal lives. Can't you just see in your mind's eye...some children trying to baptize a cat...and learning full well from that experience that this is just not a good thing to do. The point is clear: A dramatic personal eye-opening experience can give us new insight, new perception, new vision. On a much deeper level and on a much more positive level, that's precisely what we discover in this amazing story in John 9. A man blind from birth has a dramatic eye-opening experience with Jesus... and talk about new vision, talk about new insight... he is completely and totally healed. He is made whole and he comes back from the pool of Siloam with 20/20 vision,... able to see perfectly for the first time in his life. His transformation is so complete and so dramatic that he even looks a little different. The townspeople see him and say: "Hey, isn't that the blind beggar? He can see now. Is that him? No, it's just someone who looks like him. Couldn't be him," And the formerly blind man says: "It's me alright. I am the man." Anybody here have selective hearing or seeing? Sure, we all do. Every second, our brain is bombarded with sensory data from all five senses. You just sat down, but already your brain has probably stopped consciously focusing on the feel of the seat. You're probably not thinking about the temperature of the room, although you probably did at one point this morning. There are all kinds of sounds that you're not focusing on right now - the faint hum of lights, somebody shifting beside you. Our brains would go crazy if they had to process every piece of data that our bodies sensed. We think we're seeing everything, but we're all being selective all the time. Today, you've probably noticed who's not here, who's sitting in a different spot, who's sitting with whom. You may have wondered what it means that so-and-so is sitting with that person. Years ago, before I dated my wife, I brought a date to a function that my wife also attended. She could tell you exactly what my date was wearing. I don't have a clue. I never did, not even that night. It's the same with cars. You get interested in a car, and all of a sudden you notice them everywhere. They were there before, but you never noticed them. The part of the brain that filters all this information is called the Reticular Activating System. It's continually at work, even though we never think about it. Today's story is about our spiritual Reticular Activating System. The goal for all of us, if we're followers of Jesus Christ, is to see the same things that he sees. We want to notice what's important to him. "We can't keep the Christians from going to church. We can't keep them from reading their Bibles and knowing the truth. We can't even keep them from forming an intimate, abiding relationship experience in Christ. If they gain that connection with Jesus, our power over them is broken. So let them go to church, let them have their conservative lifestyles, but steal their time, so they can't gain that experience in Jesus Christ. This is what I want you to do, angels. Distract them from gaining hold of their Savior and maintaining that vital connection throughout their day!" "How shall we do this?" shouted his angels. "Keep them busy in the nonessentials of life and invent innumerable schemes to occupy their minds, "he answered. "Tempt them to spend, spend, spend, and borrow, borrow, borrow. Persuade them to work for long hours, to work 6 - 7 days a week, 10 - 12 hours a day, so they can afford their lifestyles. Keep them from spending time with their children. As their family fragments, soon, their home will offer no escape from the pressures of work." "Over stimulate their minds so that they cannot hear that still small voice. Entice them to play the radio or cassette player whenever they drive. To keep the TV, iPads, CDs and their computers going constantly in their homes. And see to it that every store and restaurant in the world plays non-biblical music constantly. This will jam their minds and break that union with Christ." "Fill the coffee table with magazines and newspapers. Pound their minds with the news 24 hours a day. Invade their driving moments with billboards. Flood their mailboxes with junk mail, sweepstakes, mail order catalogues, and every kind of newsletter and promotional offering free products, services, and false hopes." 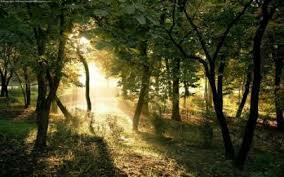 Don't let them go out in nature to reflect on God's wonders. Send them to amusement parks, sporting events, concerts and movies instead." "Let them be involved in soul-winning. But crowd their lives with so many good causes they have no time to seek power from Christ. Soon they will be working in their own strength, sacrificing their health and family for the good of the cause." Ray Osborne, Here's Mud in Your Eye! This plaintive spiritual song is a favorite among the elderly and nursing home residents at chapel time, those for whom physical eyesight is waning and for whom spiritual sight is increasingly significant. Actually it was written by John Newton, who was part of the revival of the Church of England in the late eighteenth century. He was a self-educated man, who had gone to sea and at one time had been the captain of a ship in the African slave trade. After his conversion, he became an ordained minister of the Church of England, finally serving as rector of a church in London. It could well be that this personal testimony referred to his time of blindness to the awful exploitation and forced transport of the wretched slaves. He was indeed a spiritual wretch, just as the slaves were physical wretches in the stinking hold of his ship. 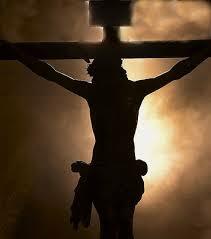 Through an amazing grace his eyes were opened and he could see clearly God's will for his life, and it was not to haul slaves. David Belgum, A Clearer Vision, "Seeing the Unseeing," CSS Publishing Company. There is a story of a beggar who was sitting across the street from an artist's studio. The artist saw him and thought he would make an interesting portrait study so from a distance he painted the defeated man whose shoulders drooped, and whose eyes were downcast and sad. When he was finished, he took the portrait over to the beggar so he could look at it. "Who is that?" the beggar questioned. The painting bore a slight resemblance to himself, but in the painting before him he saw a person of dignity, with squared shoulders and bright uplifted eyes, almost handsome! He asked the artist, "Is that me? I don't look like that." But the artist replied, "but that is the person I see in you." In the midst of our Lenten journey, God doesn't see us as everyone else sees us. People around us may see us as cool, successful, unattractive, popular, old, whatever. It doesn't matter at all how others may see us. God sees our hearts, sees us as we really are. Perhaps we wish we had him fooled, like those we've led to believe that we're less frightened, more confident, happier than we really are. Or perhaps we're deeply grateful that God sees through all the shallow, negative judgments which so many people have placed on us. Probably it's both. Our Lord, to our joy and to our sorrow, looks into our hearts and sees us as we really are. In Lent, that's a call for introspection: to confess that we have not loved our Lord with our whole hearts, nor loved our neighbors as ourselves. In Lent, it's especially important that we confess our sinfulness as specifically as we're able. In what ways have we failed God and ourselves? Because we can't hide from God, we dare not use all our usual ways to avoid our sinfulness. We're used to denying our sins, minimizing them, excusing them, blaming them on others. This Lent, let's examine ourselves, asking God to search our hearts. We benefit from naming our sins, our needs, and losses, and failings. And we admit to God that only by his grace and guidance can we find healing and help. How Do You Know It's A Bad Thing? There is an ancient Chinese legend of an old man and his only son. One night the old man's horse escaped, and the neighbors came to comfort him in his loss. "How do you know this is a bad thing?" he asked them. Several days later his horse returned with a herd of wild horses. Now his friends came to congratulate the farmer for his good fortune. But the old man said, "How do you know this is a good thing?" While his son was trying taming one of the wild horses, he is thrown and breaks his leg. Again his friends gathered to bemoan his new misfortune. But the old man asked, "How do you know this is a bad thing?" Soon a warlord came to recruit able-bodied youth for his army, and the farmer's son escaped conscription because of his broken leg. In true fashion, the farmer's neighbors came and expressed their pleasure over the man's good luck. "How do you know it's a good thing?" he asked. The story can go on forever. Good fortune can quickly turn on you and bad fortune may be a blessing in disguise. I am resolved that in this world, content I will be. To weep and sigh because I'm blind, I cannot and I won't." It was 1818 in France, and Louis, a boy of 9, was sitting in his father's workshop. The father was a harness-maker and the boy loved to watch his father work the leather. "Someday Father," said Louis, "I want to be a harness-maker, just like you." "Why not start now?" said the father. He took a piece of leather and drew a design on it. "Now, my son," he said, "take the hole-puncher and a hammer and follow this design, but be careful that you don't hit your hand." Excited, the boy began to work, but when he hit the hole-puncher, it flew out of his hand and pierced his eye! He lost the sight of that eye immediately. Later, sight in the other eye failed. Louis was now totally blind. A few years later, Louis was sitting in the family garden when a friend handed him a pinecone. As he ran his sensitive fingers over the cone, an idea came to him. He became enthusiastic and began to create an alphabet of raised dots on paper so that the blind could feel and interpret what was written. Thus, Louis Braille opened up a whole new world for the blind--all because of an accident. #1: The blind farmer was often taken for a walk in the fields by a kind neighbor. However kindly the neighbor might have been, he was undoubtedly a coward. When a bull charged towards them one day, he abandoned the blind man. The bull, puzzled by a lack of fear, nudged the blind farmer in the back. He turned very quickly, caught the bull by the horns and threw it to the ground with a bump that left it breathless. "Aidan," shouted the neighbor, "I never knew you were so strong." "It’s the strength of Faith,” said the blind man. “If I could have got that fella off the handlebars of his bicycle, I'd have thrashed him properly." (He was under the impression that a bicycle had hit him). #2: A blind man is walking down the street with his guide dog one day. They come to a busy intersection and the dog, ignoring the high volume of traffic zooming by on the street, leads the blind man right out into the thick of the traffic. This is followed by the screech of tires as panicked drivers try desperately not to run the pair down. Horns blaring around them, the blind man and the dog finally reach the safety of the sidewalk on the other side of the street, and the blind man pulls a cookie out of his coat pocket, which he offers to the dog. A passerby, having observed the near fatal incident, can't control his amazement and says to the blind man, "Why on earth are you rewarding your dog with a cookie? He nearly got you killed!" The blind man turns partially in his direction and replies, "To find out where his head is, so I can kick his rear end!"